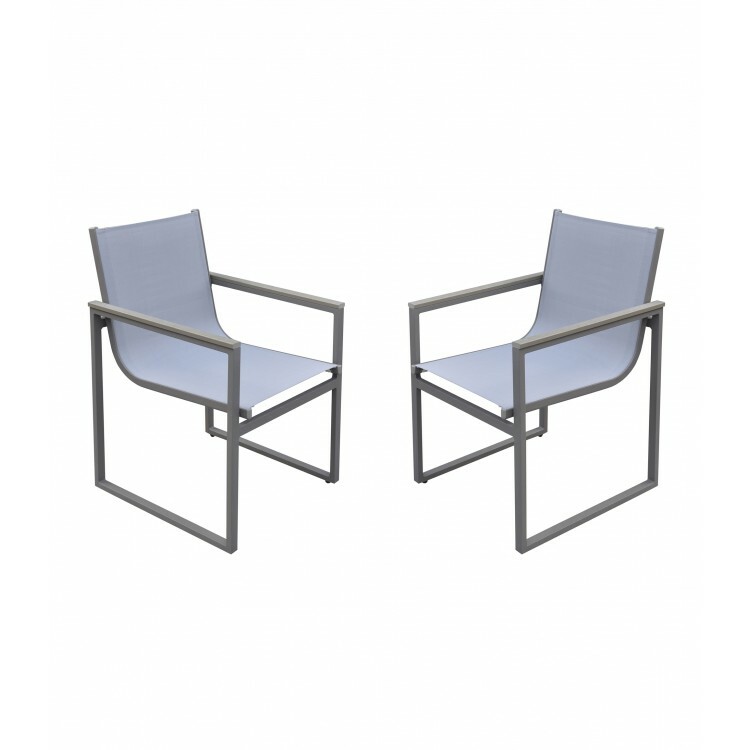 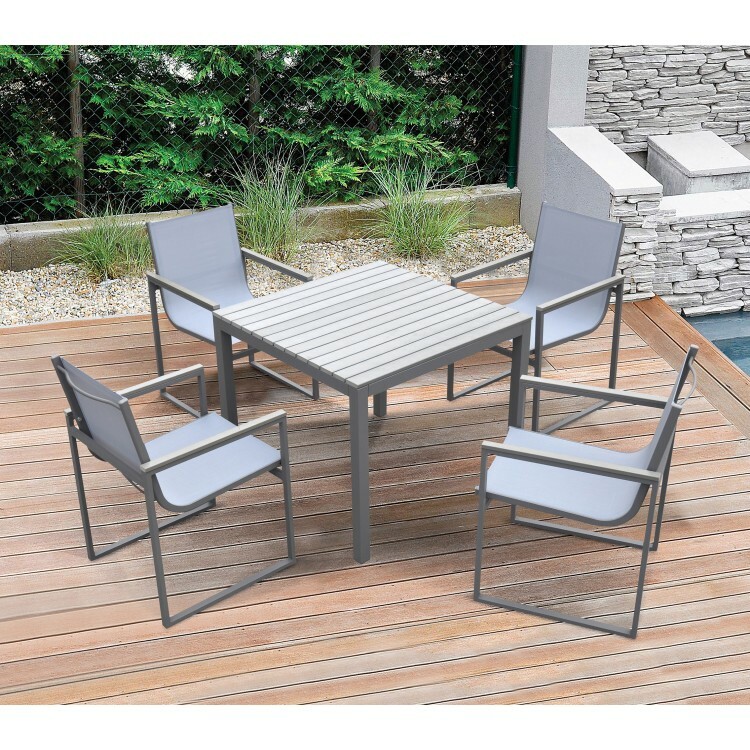 The Armen Living Bistro contemporary outdoor set is the perfect choice for any modern patio seating arrangement. 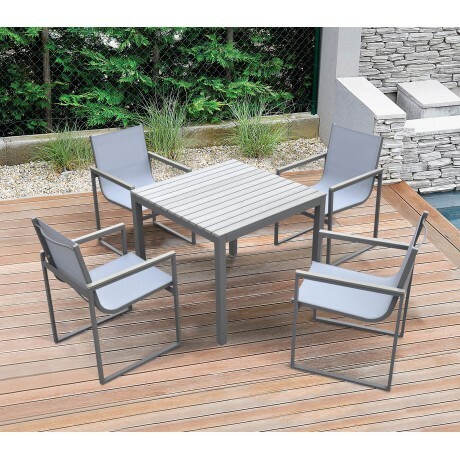 This beautiful set features 4 gray powder coated aluminum chairs and 1 sleek gray powder coated aluminum dining table. 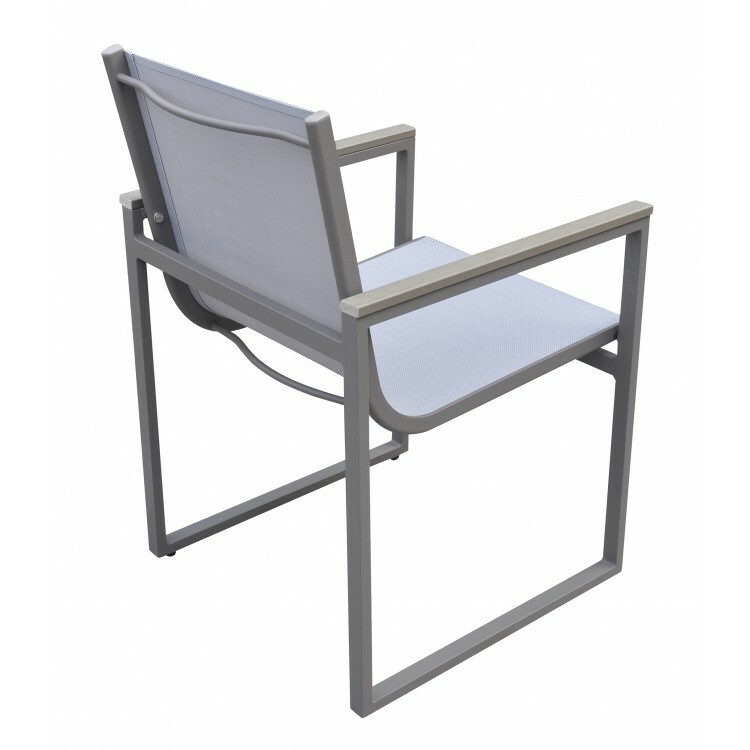 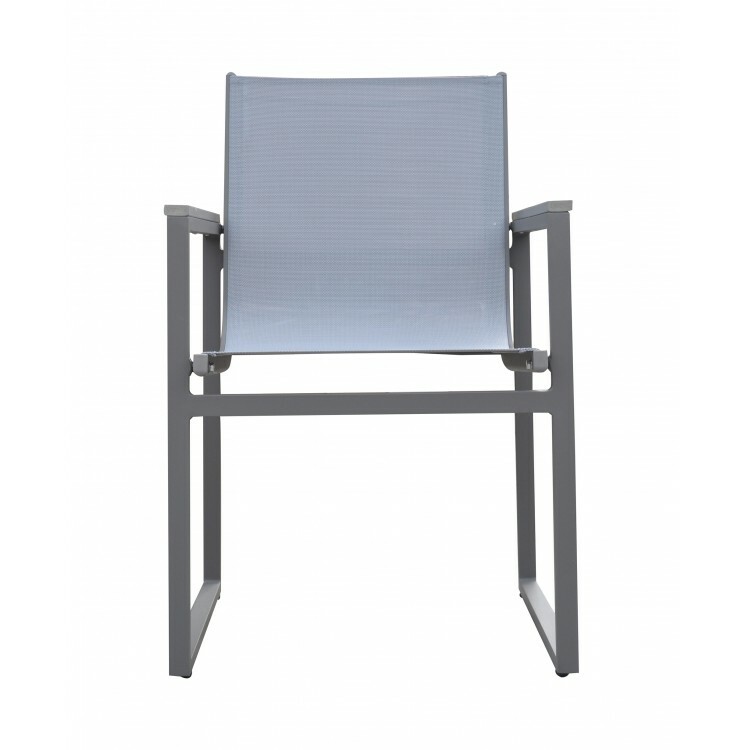 The Bistro chairs sport a unique waterproof gray sling textilene seat and back, resonating style without adding additional weight to the easy to carry pieces. 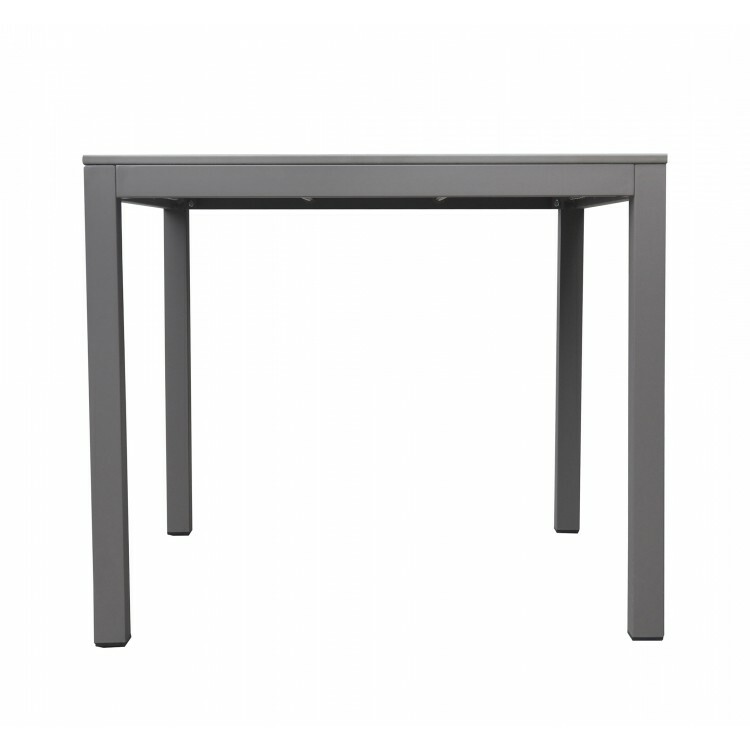 The Bistro table is topped by a stylish gray wood paneled top that accentuates that modernity of the collection. 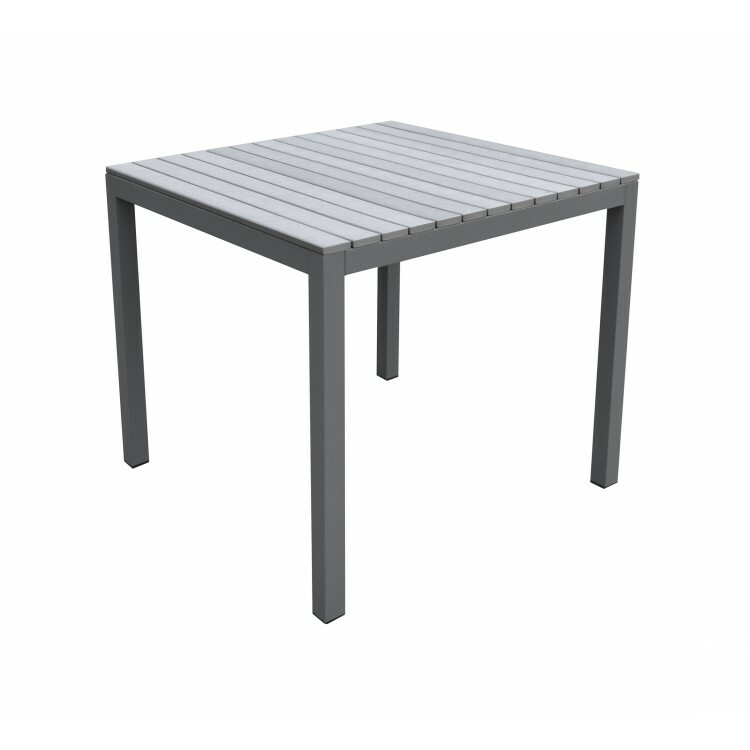 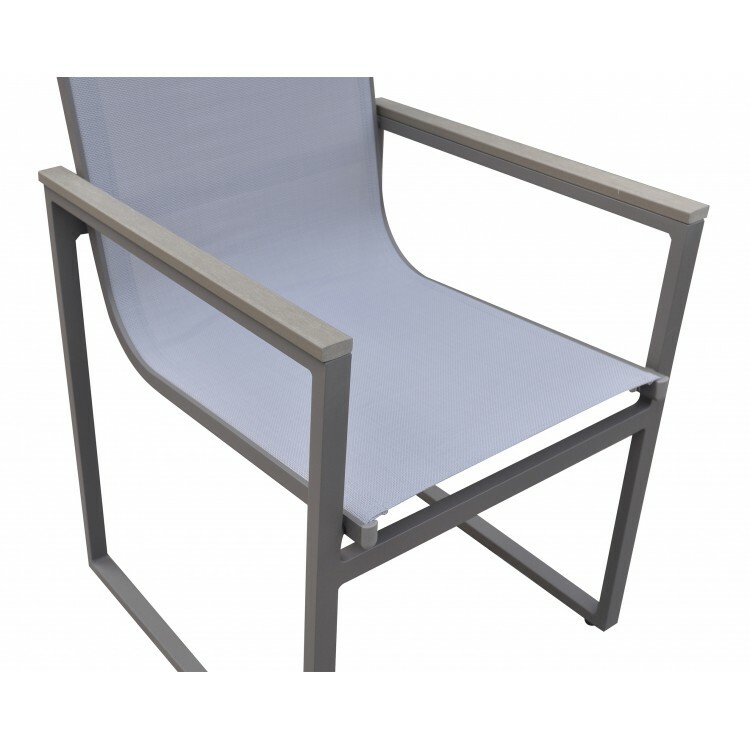 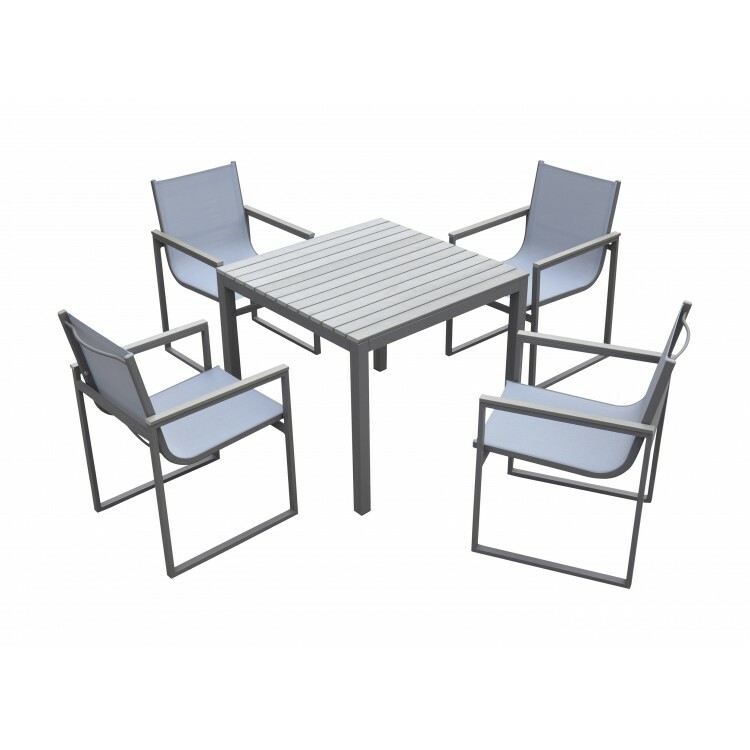 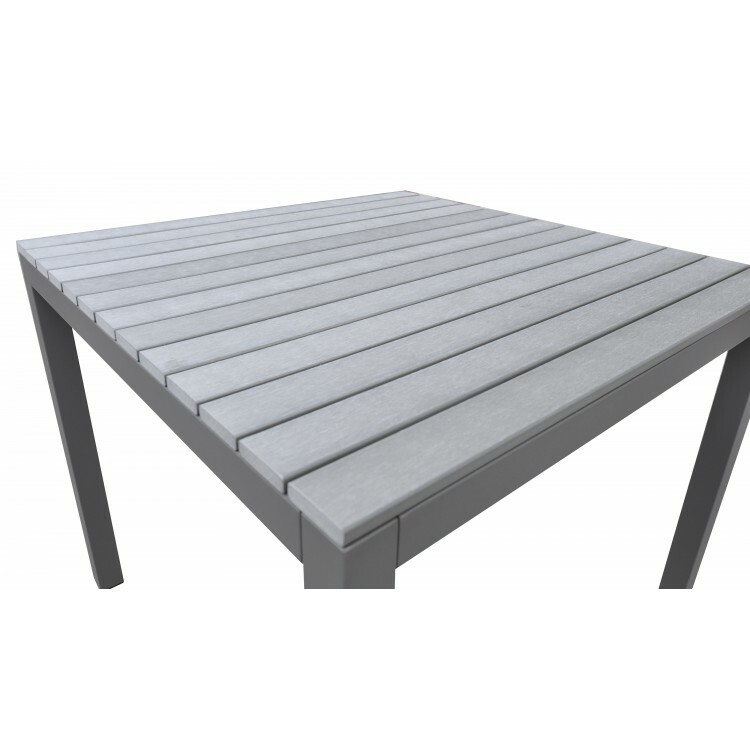 The Bistro patio set is available in a gray powder coated finish.